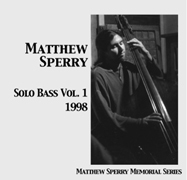 Two years ago on June 5, bassist and composer Matthew Sperry was killed in a traffic accident while bicycling to work. 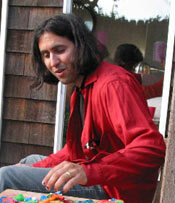 Since then his many friends in the Bay Area music community have organized annual performances in his memory. This year, the Matthew Sperry Memorial Festival spans four evenings. June 4 is experimental music titan Anthony Braxton’s 60th birthday. To celebrate, the sixty-member Triaxium West Large Ensemble under the direction of John Shiurba and Gino Robair, will perform works spanning the four decades of Braxton’s career, including many rarities. June 5: Matthew’s friends pay him tribute with music from many small groups, culminating with a performance by OrcheSperry. All proceeds from this event will benefit the Sperry family. Swedish musician and inventor, Johannes Bergmark, performs on a variety of unusual instruments with local improvisers, including Gino Robair and Tom Nunn. All events start at 8:00 PM. Admission is $6-$50, sliding scale. On May 18, at 7 PM across the country and around the world, cyclists will take to the roads in a silent protest of what they call carnage taking place on the streets. Although cyclists have a legal right to share the road with motorists, much of the motoring public doesn’t seem aware they are there. Chris Phelan organized the first Ride Of Silence in Dallas in May 2003 after endurance cyclist Larry Schwartz was killed by a bus mirror on an empty road.